One of Bite Beauty’s latest additions to their lip products is the Lush Lip Tint. Part lip treatment, part sheer lip color, I HAD to try it! 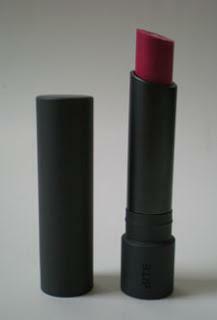 I chose the shade “Watermelon” for starters which is a beautiful perfect, natural-looking pink. I really love this color! The color blends beautifully into the lips and the color lasts surprisingly well. It looks natural and healthy with a nice glowing sheen. The color is not as sheer as their Balm, yet not as opaque as the Lipstick and is nicely buildable for a variety of intensity. I initially was thinking this was a stain, but I do not think it is billed as such. However, it lasts much like a stain! I do not notice much of a scent and have not noticed any significant taste to the Tint which is kind of a nice change from the many mint-scented products suddenly flooding the market. As with all Bite products, the Lip Tint is free of parabens, sulfates, synthetic fragrances, synthetic dyes, petrochemicals, phthalates, GMOs and triclosan. For more information and how it looks applied, keep reading…. 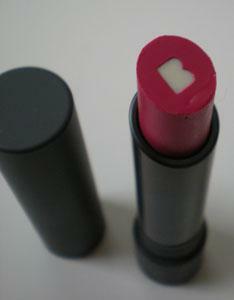 The Lip Tint feels very hydrating when applied on the lips. It is almost like applying straight, slightly softened fruit butter. It is not too soft in the tube so that it smushes, but it just kind of melts onto the lips to nourish and protect. 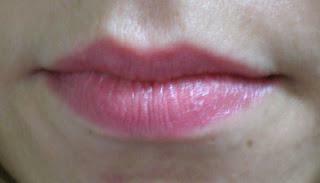 The Lip Tints are made with pure Argan Oil (commonly known as Moroccan Oil), Vitamin E and Fruit Butters. In the center of the product is a whitish “B” that contains Resveratrol which contains a double dose of the same antioxidants found in red wine. Bite’s Lip Tint is an incredibly comfortable, good for you, treat for the lips! I really am enjoying Bite Beauty’s more treatment-like lip products! Have you tried any Bite products yet? What do you think? Would you try Bite’s new Lush Lip Tints and what color is your favorite? Please leave any comments below! Bite Beauty’s Lush Lip Tints retail for $24.00 and can be found at select Sephora retail locations and online at Sephora.com. It is available in 6 different shades varying from very natural to dramatic-looking wine. To see more information about Bite Beauty, see my overview here. Disclaimer: I am not affiliated with Bite Beauty in any way, nor have I been compensated for this review. #ManiMonday - Nuance's "Lush Lavender"